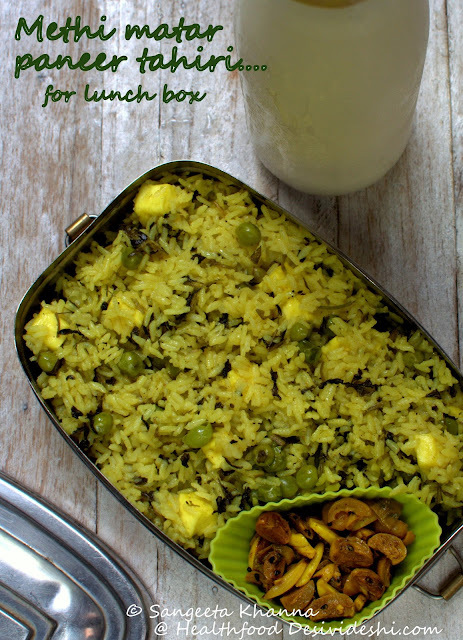 With this lunchbox series I got to learn that there are many people who like eating rice in their lunch boxes too. 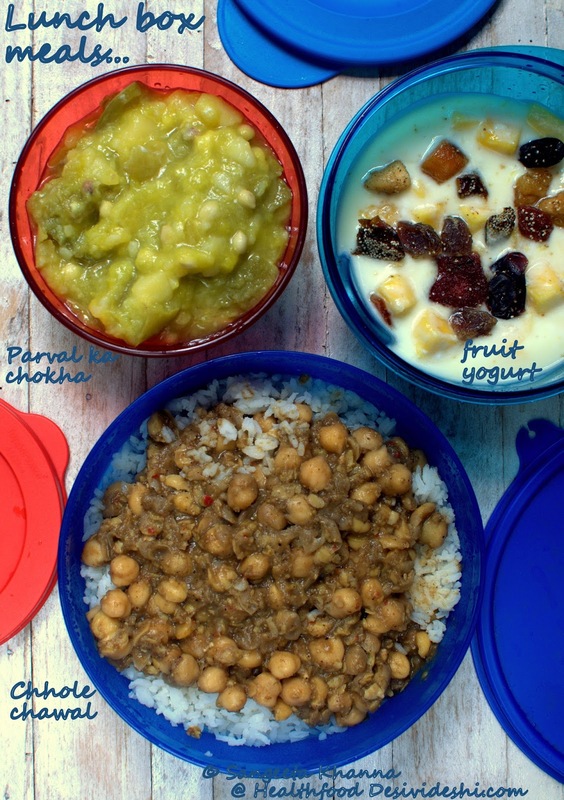 Most people in north India prefer a roti subzi kind of lunch box meal but an occasional rajma chawal, chhole chawal or tahiri is not uncommon. I love my rice too by the way, and I find it way lighter than the rotis for a meal. Personally rice makes me satiated faster and I need very small amount on my plate. For everyday meals even roti is needed in small serving as we make multigrain rotis always and those are quite filling too. I observed in some regions rice is such a staple that the plate is full (*read heaped) of rice with just a little amount of vegetables and lentils or meats. All those who have grown up eating that kind of meal find it really tough to balance a rice based meal in adult (*read desk bound) life. When you are young and active, play some sports you can have a lot of rice and other starches but once you are desk bound, office going and sitting long hours on a chair you better mind your rice and roti both. So here are a few lunch boxes with rice meals where about 2-3 tbsp of cooked rice is used to make a satisfying filling meal. 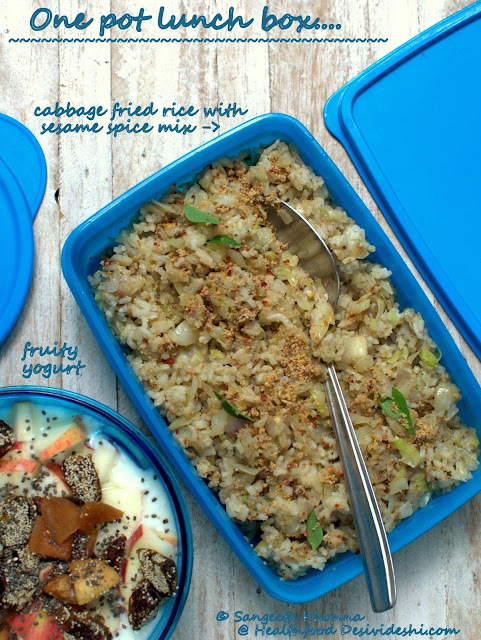 Balanced rice meals for a desk bound adult, eat more if you run marathons. All these lunch boxes are gluten free by default. 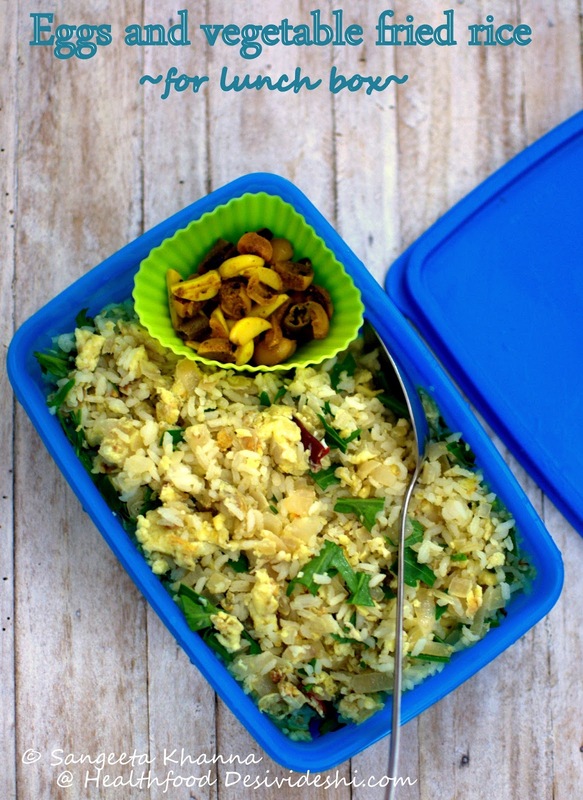 This kind of lunch box is made in my home when in a hurry. Leftover rice (2-3 tbsp per serving) is used to make it a 10 minute meal. For 2 servings fry 1 cup finely chopped cabbage, 1 cup chopped onions along with chopped green chillies (or capsicum too) and 1 tbsp butter or ghee. Add slat and pepper when the vegetables are translucent, break 3-4 eggs and scramble lightly. Add reheated (in microwave or steamed on the other burner) or freshly cooked rice and mix well, fluffing up the rice as you mix. Add chopped coriander greens or rocket leaves ( I used rucola from garden) or spinach leaves and pack. 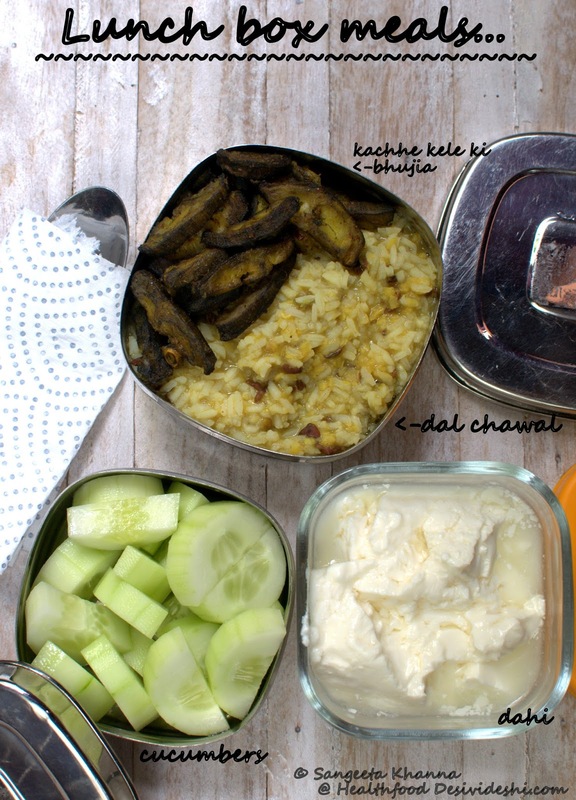 Some pickle or raita is good to pack along. Find karonde ki subzi recipe here. This Tahiri is a 15 minute meal. One of those meals where you just dump everything together and make a tasty meal, suits me in the mornings when I get up really late. 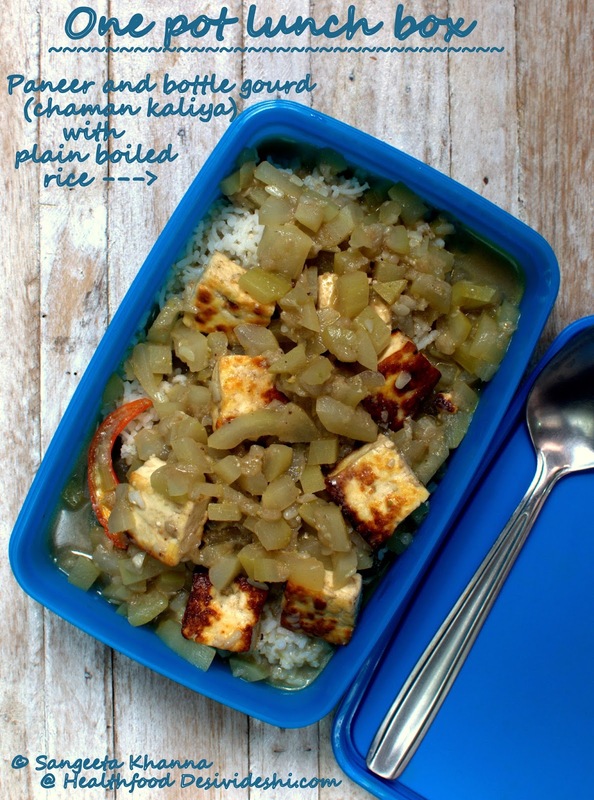 Two-three tbsp uncooked rice (rinsed), a cup of finely chopped cabbage, 1/4 cup dry fenugreek leaves (these are home grown and sun dried but use kasoori methi if you don't have this), 1/2 cup frozen peas, some paneer cubes (I use about 3/4th of a 200 gm pack), salt, pepper, cumin seeds, turmeric powder and 1 tbsp ghee is dumped into a pressure cooker. 3/4 cup water is added and the mix is cooked till the first whistle blows. 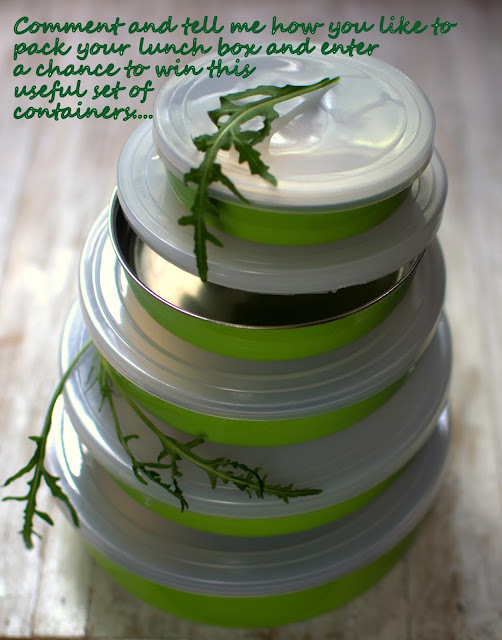 Cool, open the lid and pack along with raita/pickle and yogurt or buttermilk. It is better to pack some kachumber type salad and pickle with this one. This lunch box takes about 30 minutes to assemble. Barnyard or Prosso millet is cooked just like rice, then tempered with ghee, asafoetida, cumin seeds, mustard seeds and loads of chopped curry patta. Turmeric is added to the tempering along with chilli, then it is mixed with the cooked millet, seasoning it well. Add loads of lime juice to make it as tart as you wish. 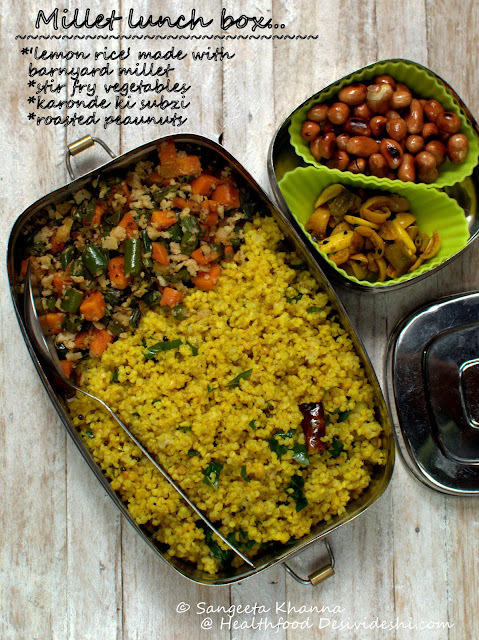 I packed a quick vegetable stir fry and some karonde ki subzi with it along with roasted peanuts to sprinkle over the millet meal. Buttermilk is a must with this. 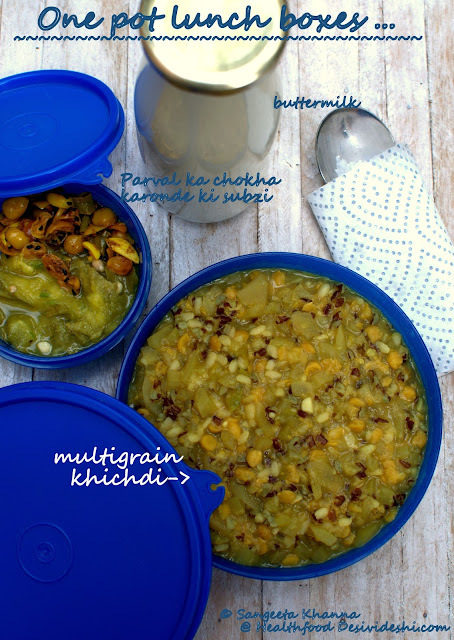 Earlier I used to have these multi grain khichdi for lunch almost 3-4 times a week. Now I manage about once a week and sometimes the husband also agrees to have it. He generally doesn't like khichdi but those who love khichdi find it really tasty. This multi grain khichdi is made with 1 tbsp each of Red Kerala matta rice, barnyard millet, urad daal, chana daal and masoor daal along with 3 cups of chopped marrow and the usual khichdi seasoning and tempering. I make it a point to have a vegetable mash with it, parval ka chokha fits the bill in summer months. Karonde ki subzi makes it delicious. I crave for hot daal chawal meals sometimes. I have grown up eating dal chawal almost every single day and whenever I manage to make dal chawal with some bhujia I feel really happy. This is a rare lunch box for both of us but we love it a lot. Peeli daal cooked with arhar (pigeon pea) sourced from I Say Organic is so good to taste as it is unpolished and some of the husk is still attached, giving it a earthy taste. For quick meals I just pressure cook the daal with salt, turmeric powder, pinch of asafoetida and little ghee and serve it without tempering with a little more ghee. For lunch box I mix the daal chawal and add some bhujia on the side. Kachhe kele ki bhujia or parval ki bhujia is favored with our daal chawal meals. Some diced cucumbers and yogurt make this meal light yet satisfying. This is bhien ki besan wali subzi (lotus stem in chickpea flour spicy gravy) which has become a favourite and we like it even for cold meals. Topped over plain boiled rice, a generous amount of this subzi makes a delicious meal if you love curry and rice. This would become one of your favourite meals too trust me. 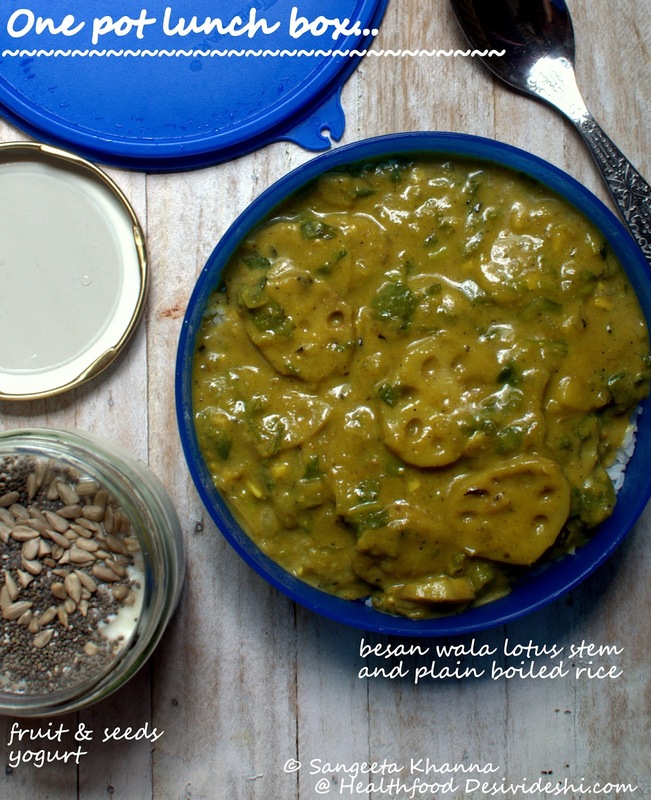 The Bengali jhinge posto curry is one of the most favourites of mine. The gravy is made using poppy seeds paste but you can make it using mixed seeds (melon and sunflower seeds) paste too if you don't get poppy seeds in your part of the world. 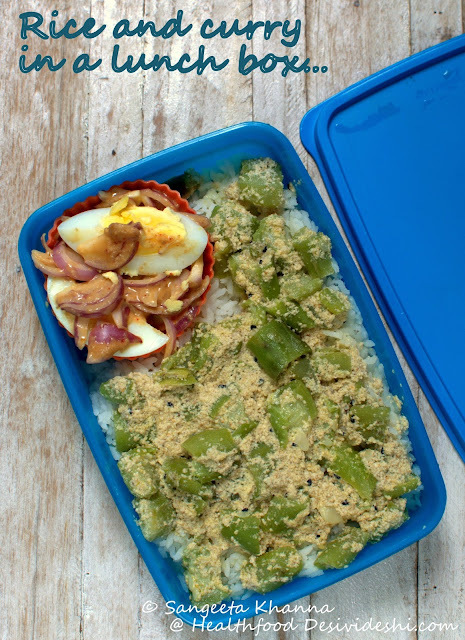 Plain boiled rice and this protein rich curry is good enough, I packed a boiled egg salad with it just in case. I love chaman kaliya and have learnt to add marrow to it to make it a one pot curry. This way I don't need to cook or serve any other greens on the side. Poured over plain boiled rice this curry tastes great even when cold. I love loads of this curry with a little rice. Nothing else is needed. Chaman kaliya is made using either milk or whipped yogurt so I don't serve yogurt with it. It is a complete meal in itself. Will share the recipe soon and link it here. 9. Cabbage and sesame fried rice for one pot lunch box .. This is another 10 minute meal if you have the chopped cabbage and spiced sesame powder. Saute loads of chopped cabbage and chopped onion along with some curry leaves, then add the sesame spice powder and cooked rice. Mix well and pack. I can't sign off this post without mentioning my absolute favourite rice meals. Rice and beans are popular in many parts of the world and cooked in different ways. Chhole chawal and rajma chawal are favourites since childhood. We like is spicy. I like serving some mashed boiled vegetables or steamed vegetables with chhole chawal, and parval ka chokha appears once again. 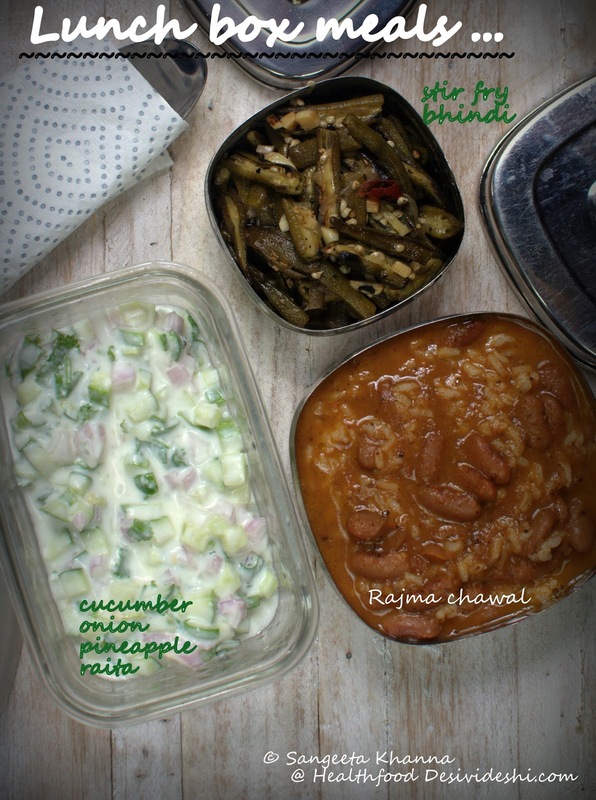 With rajma chawal there is okra stir fry and cucumber onion pineapple raita. Note that the portion of chhole and rajma is more compared to rice and the side serving of vegetables is also generous. Making the meal balanced is not that difficult. Balance it in the next meal if you missed something in this meal I say. This lunch box series was quite exciting for me. 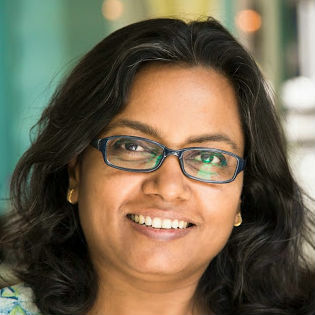 Yes a lot of work also has gone into it, I would never have clicked pictures early in the morning after preparing lunch boxes and packing off the husband to office. Although all the lunchbox pictures are shot in a couple of minutes before fitting the lid on, I did make some effort to take those to a well lit area and reflect the light too. It was good fun. I wanted a post on snack boxes too but we have run out of time as I had promised to announce the Giveaways in July last week. I am doing so just in the nick of time. So the winners for the giveaways of this lunch box series are .. Please provide your mail id in a week so I can inform you about the giveaway if you are reading this. I assume you follow my blog to get this notification too. I will wait for a week before doing another draw to chose another winner if you don't claim yours. Thanks you for being with me on this journey. Hope you enjoyed it as much as I did. I will keep sharing ideas about lunch boxes whenever possible, your feedback is always very encouraging. You are on the right side of everything that matter Suranga. I am sure you will make very good use of the steamer :-) Thanks for participating. So glad you have been liking what I share Sugar. Thank you for acknowledging. I really enjoyed reading you lunch box series. It gave me great ideas to incorporate into my meal planning. And I love brown rice khichdi too. I make it with tuvar dal and stir fry vegetables for lunch. A cup of dahi and I am set till dinner time. No evening snack needed.